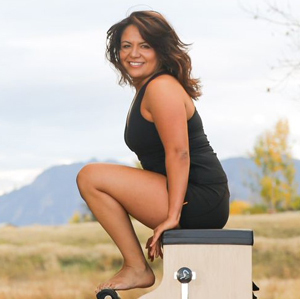 Sandra’s interest in human movement and mechanics began during her college career when, after an automobile accident, she discovered Pilates during physical therapy. That first Pilates class was enough to inspire her to pursue a full comprehensive Pilates Certification in 2010. She followed up her initial training with various workshops and continuing education in a number of different Pilates schools and other therapy protocols, such as NeuroKinetic Therapy® and Proprioceptive-Deep Tendon Reflex®. This unique combination of movement and neurological expertise allows Sandra to refine prescriptive plans for her clients above and beyond what most Pilates instructors are capable of providing. The result is a much greater success rate in helping clients obtain favorable outcomes from their work. Sandra takes great care in educating her clients on how to enhance their overall health and establish long lasting habits that positively impact their lifestyle. Sandra joined DPPS in 2016. During her spare time, she enjoys aerial acrobatics and hanging out with her dogs.